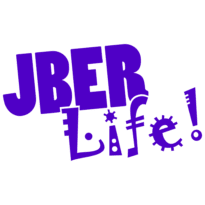 Ten Pin | JBER Life! Try one of our signature burgers served with your choice of house made kettle chips or French fries. Signature sauce, american cheese, crisp lettuce and vine-ripened tomato. Spicy buffalo sauce, creamy bleu cheese, lettuce and vine-ripened tomato. Aged cheddar cheese, bacon, Sweet Baby Ray’s BBQ sauce, lettuce and vine-ripened tomato. Pepper jack cheese, pico de gallo, creamy avocado mayo, lettuce and vine-ripened tomato. American cheese, lettuce, vine-ripened tomato, shaved red onion and dill pickles. Lettuce, vine-ripened tomato, shaved red onion and dill pickles. Baguette, roasted turkey, crisp bacon, provolone cheese, avocado, chipotle mayo, lettuce and vine-ripened tomato. Rye bread, beef patty, caramelized onions, and swiss cheese. Rye bread, corned beef brisket, sauerkraut, swiss cheese and 1000 island dressing. BBQ pulled pork, coleslaw and pickles on a potato bun. American cheese, aged cheddar, monterrey jack & swiss cheese served with house made kettle chips. Tortilla wrap, romaine, grilled chicken, parmesan cheese, caesar dressing, vine ripe tomato and shaved red onion served with house made kettle chips. Tortilla wrap, romaine, grilled chicken, bleu cheese dressing, buffalo wing sauce, diced carrots and celery served with house made kettle chips. Romaine lettuce, grilled chicken, croutons, and parmesan cheese. Crisp Lettuce, smoked ham, roast turkey, Swiss cheese, aged- cheddar cheese, tomato, cucumber and chopped eggs. Shakes: Chocolate, Vanilla, Caramel, Black & White, and Strawberry.